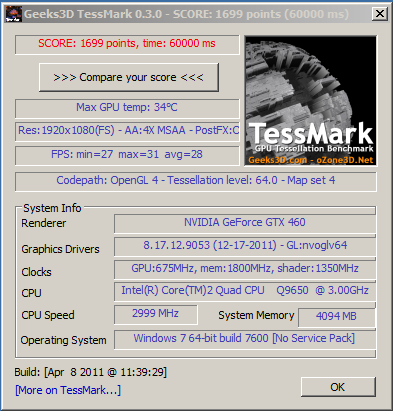 The new version of TessMark is up for grabs. 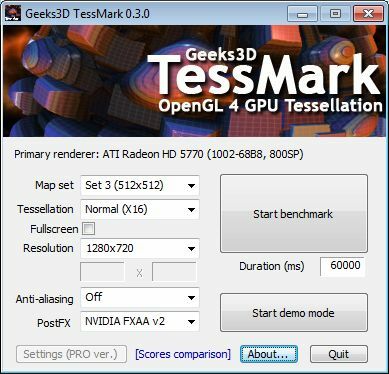 TessMark is a graphics benchmark focused on the GPU tessellation, one of the killer feature of OpenGL 4 capable cards (GeForce GTX 400, GTX 500, Radeon HD 5000, HD 6000). TessMark 0.3.0 adds the support of latest graphics cards (like the GTX 590 or HD 6990, HD 6790), new map sets, a simpler interface and new post processing filters (like NVIDIA FXAA). An extended version of TessMark is also available with customized textures and tessellation tweakings. More information HERE. 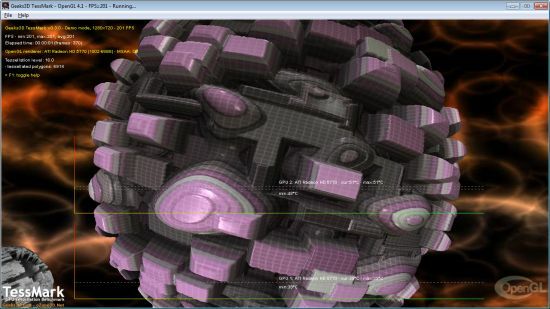 New: support of latest graphics cards: Radeon HD 6990, HD 6790, HD 6450, GeForce GTX 590, GTX 550 Ti. 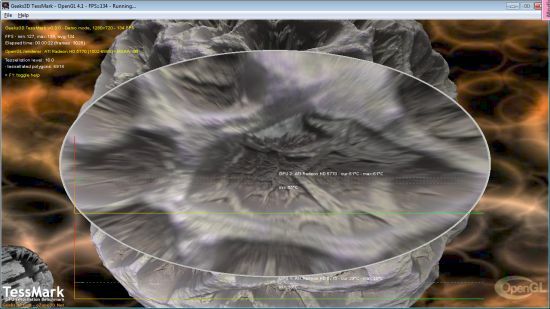 New: added new post processing filter: NVIDIA FXAA. New: added a select box for post processing filters. New: added two new map sets. New: added tweak bar for tessellation parameters (PRO version). 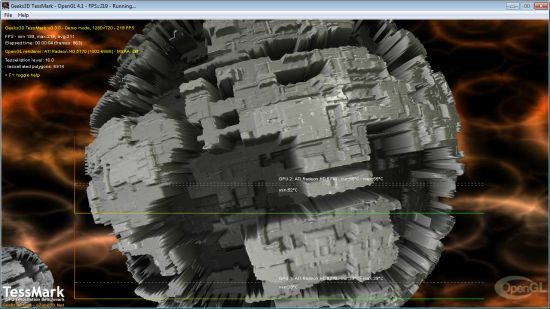 OK, how do I enable SLi? And why is it that none of these applications (TessMark, Kombustor, FurMark, etc. 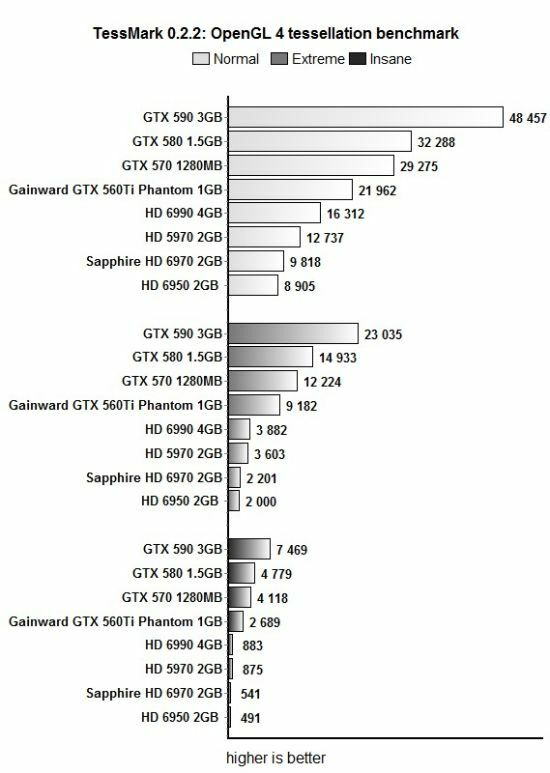 use SLi)? @Arctucas SLI is for nerds! Don’t mind if I post my laptop score here?